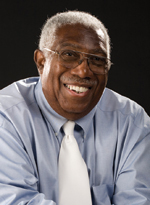 Raymond D. Terrell is a Professor Emeritus. He has served as a high school and junior high school English teacher, an elementary school principal, and an assistant superintendent in public schools in Ohio. He spent one year as a faculty member at Texas A&M University in the Department of Educational Administration. He spent 19 years at California State University, 14 years in the Department of Educational Administration, and for 5 years he was the Dean of the School of Education. He then served for three years as an elementary principal at Jefferson Elementary School in Hamilton, Ohio. Ray then joined the faculty at Miami University in Oxford, Ohio where he served as a professor in the Educational Leadership Department, Associate Dean for the College of Education Health and Society and as Chair of the Teacher Education Department. Ray has 50 years of professional experience with diversity and equity issues. He has served school districts in California, Arizona, Nevada, Michigan, Ohio, Pennsylvania, and Indiana. Ray writes about issues of diversity, inclusion, and equity. Ray lives in Springfield Township, Ohio with his wife Eloise. They have two adult children, Dina and William.